Alonso's last race victory came in 2013, and he hasn't been on the podium since 2014. For arguably one of the best drivers F1 has ever seen, this is the very definition of a legacy unfulfilled, says Chetan Narula. Two weeks ago, when Daniel Ricciardo quit Red Bull Racing to drive for Renault in 2019, one particular corner of the Formula One paddock stayed remarkably upbeat. Usually, whenever a top-team racing seat is available, this driver and his agents get the wheels rolling for a possible contract. Not this time. Instead, Fernando Alonso joked on social media that he was not in the running to become Max Verstappen's teammate. This was not so because Alonso has previously tried to get into Red Bull and failed. Or that he was waiting for Ferrari to decide on Kimi Raikkonen. No. He had decided that McLaren would be his last team in F1. What had been expected for some time now has finally come to pass. Alonso leaves the sport a two-time world champion. 'I stopped because the action on track, in my opinion, is very poor. In fact, what we talk about more in F1 is off track,' said Alonso, after announcing his retirement on social media on August 14. 'We talk about polemics. We talk about radio messages. We talk about all these things, and when we talk so many times about those things, it is a bad sign. There are other series that, may be, offer better action, more joy and more happiness, so that is what I try to find,' he said, justifying this mid-season decision. There were such rumblings earlier in the season as well. But his words need to be taken with a pinch of salt. With 12 out of 21 races done, the 2018 F1 season has already seen four different winners -- at one stage, it was four different winners in the first nine races. Meanwhile, Mercedes' Lewis Hamilton and Ferrari's Sebastian Vettel have been engaged in a close seesawing fight, which promises to go down to the wire. In comparison, Alonso's high point of the season, so far, came in the very first race, with him finishing fifth in Australia. It was considered to be a page turned for McLaren in its new partnership with Renault engines, yet the dawn was a false one. Alonso hasn't finished higher than seventh since. His team-mate, Stoffel Vandoorne, hasn't finished in the top 10 since the Azerbaijan Grand Prix in April. 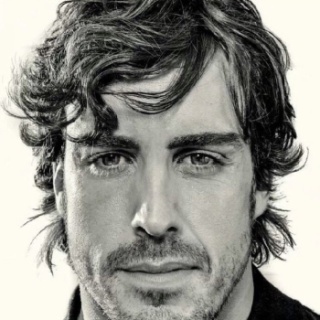 It is easy to see why Alonso thinks F1 is boring today. 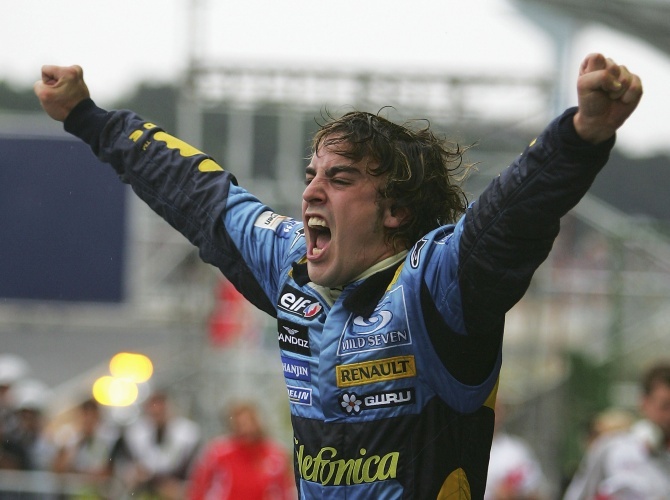 As a former world champion who last won the second of his two titles in 2006, Alonso had professed his desire to add at least one more F1 championship win to his tally. The closest he came to that was in 2012, when, driving for Ferrari, he lost by a mere three points to Vettel (then driving for Red Bull). 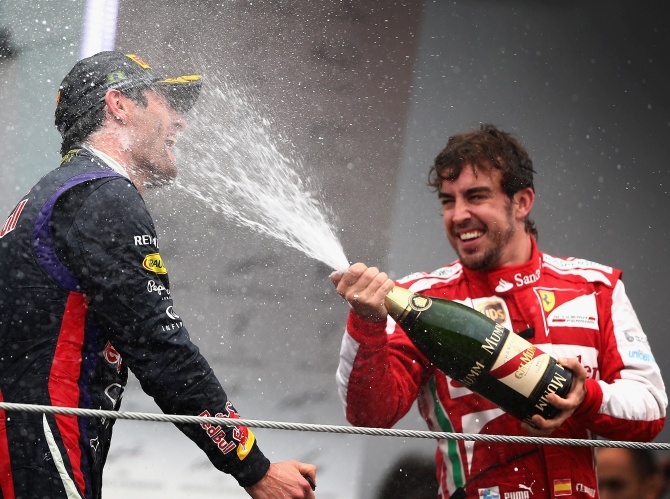 The lasting image of that season came from the year-ending Brazilian Grand Prix, where Alonso was left disconsolate as he missed out on the championship despite finishing second (Vettel finished sixth, which was enough to become champion). 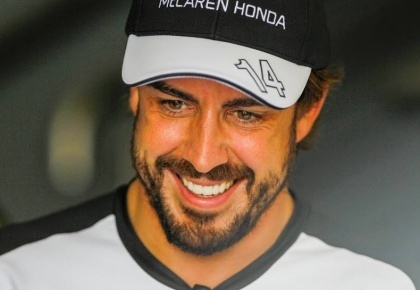 It fuelled rumours of Alonso wanting a move away -- preferably to Mercedes with new engine rules coming in in 2015. 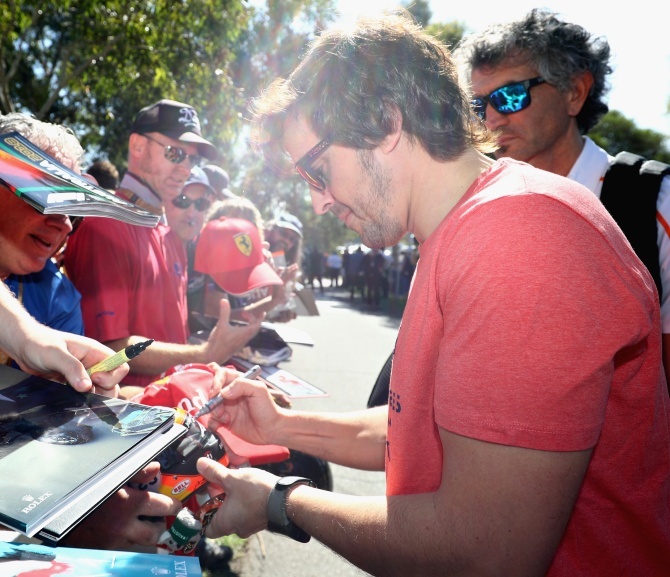 Lack of wins in 2013 and 2014 started souring his mood -- as also his relationship with Ferrari. The next year he moved to McLaren. And that is how Alonso leaves F1 -- relationships with most teams and stakeholders in the paddock fragmented. He severed ties with Renault twice (2006 and 2009), had a falling out with McLaren and Hamilton (2007), left Ferrari sourly, and then bad-mouthed Honda for their poor engines through 2015 to 2017. McLaren just about held on to him all these years, and their move to Renault engines was fuelled by the Spaniard's desires. Surely there will be relief that the immense pressure to deliver is now gone, and the Woking-based team can look to regroup again. Make no mistake, Alonso remains a gifted driver -- one who will now ply his trade in the United States' Indy Racing (having tasted racing at Indianapolis 500 last year). Having won the Monaco Grand Prix (twice in 2006 and 2007), and the 24 Hours of Le Mans endurance race (2018), he is aiming to become only the second driver after Graham Hill to achieve this ;Triple Crown of Motor Racing'. In that sense, this move almost seems like a compensation for the lack of wins in F1. His last race victory came in 2013, and he hasn't been on the podium since 2014. For arguably one of the best drivers F1 has ever seen, this is the very definition of a legacy unfulfilled, let alone more than a decade of failed championship bids. It is a classic case of what might have been and how F1's recent history could have shaped differently. But that is no longer Alonso's concern. *Despedida means farewell in Spanish.